Your SwimFast can be fitted with a patented Halo™ swim trainer template, in collaboration with our good friends at Halo Trainer. The Halo ™ Template ensures that the athlete uses a High elbow catch (sometimes called EVF - early vertical forearm). This is a crucial technique to middle and long distance freestyle swimming. For maximum training effect, It is critically important that when swim training the arm and shoulder action replicates as closely as possible the arm and shoulder action used in the water. We highly recommend that this accessory is use to maximize the benefit of your SwimFast Ergo. Place the Halo template in the provided brackets under the SwimFast. Adjust the template so the rim is just inside where your triceps meets your elbow when your arm is fully extended entering the water. Use the template to help you set-up the "Catch" each and every freestyle stroke. The Halo™ trainer template comes in 6 different sizes to accommodate differing arm lengths and shoulder widths of individual athletes. This customization allows best replication of correct stroke. 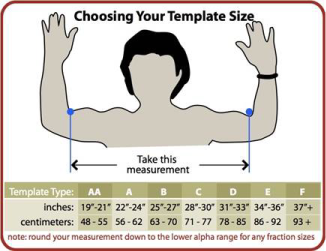 For Halo™ sizing click here. 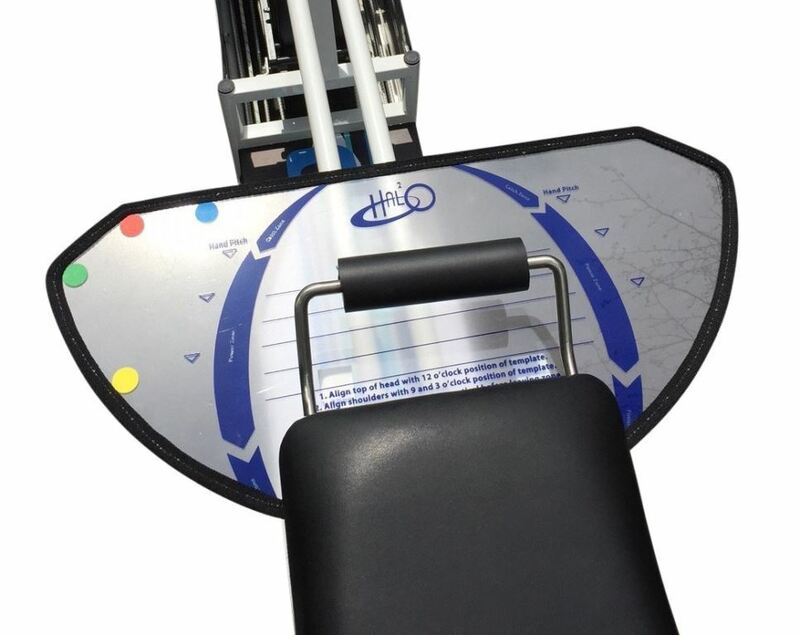 Please note: Your Halo™ Swim Template will be shipped independently and separately to your SwimFast Ergometer.